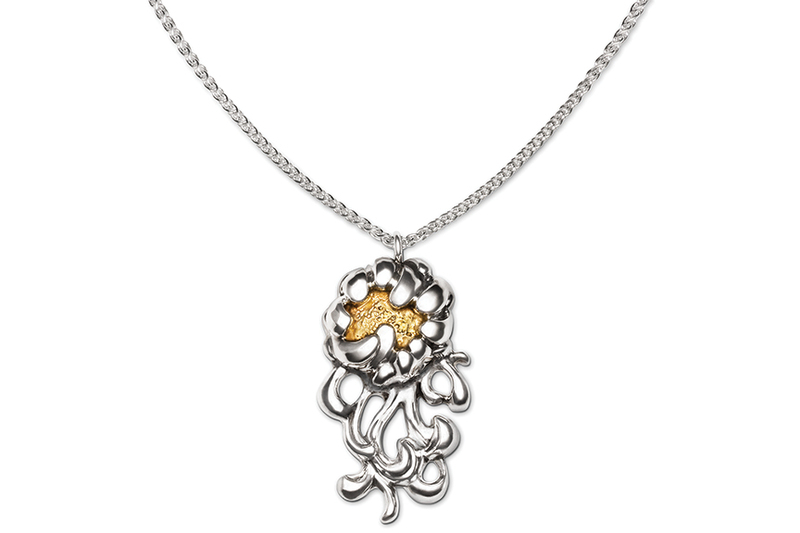 Ravishingly romantic, the Peony Pendant necklace features a gold-centered blossom, nearly 1.5” in diameter, adorned below by lovely curving stems. The pendant length measures 2.5” and comes with a fine quality 3.1mm chain, 24” in length. Supremely wearable with a wrap dress or white cotton shirt, the Peony Pendant will be your go-to for all occasions.